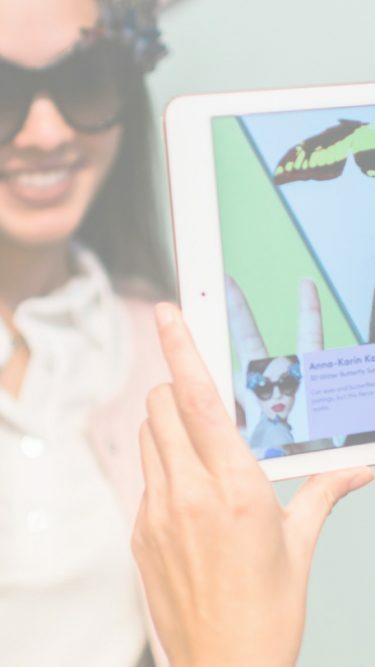 A space to discover and interact with the extended digital realms of fashion, Dream Closet, built for Refinery29 in collaboration with Neiman Marcus, was a custom augmented reality (AR) experience. Beloved items from the physical world came to life through contextual digital animation and a visual narrative. Cutting edge AR recognition and animation bridged the gap between technology (digital content) and fashion (retail). When viewed through a custom iPad app, select Neiman Marcus garments and accessories were brought to life in new ways. Confetti rained down on Alice & Olivia sequin bomber jackets and parrots soared around a patterned ETRO cape, all in harmony with playful Refinery29 editorial content. After engaging with the AR Dream Closet, guests selected the garments they wanted to wear and proceeded to a Gifbooth that captured and animated fun AR GIFs. These were shared widely via social media and aggregated with the hashtags #NMMakeSomeNoise and #R29ExpressYourself.